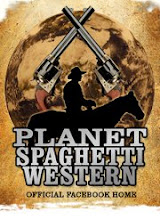 The stories in this book are set in Springville, a small city in the West, we meet a host of characters: no heroes, but ordinary people, men and women like those we meet every day in the most common situations. Giancarlo Berardi, here demonstrates more than ever his unique ability to bring together the two conditions often irreconcilable, realism and adventure. His companion is the exceptional Renzo Calegari, an artist who is able to explore and illustrate with great finesse the emotions and feelings of the different characters. This book was published in 2000 by Le Mani Microart's in Recco, Italy, with 112 pages. 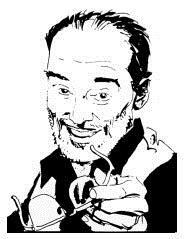 Giancarlo Berardi was born in Genoa, Italy on November 15, 1949 and made his debut in the comics working, among other things, on a number of "Tarzan", "Eve" and "Diabolik" comics. After graduation, he fully devoted his life to comics writing stories for "The Little Ranger", "Cursed Earth" and "Wyatt Doyle". He published in the comic series "Collana Rodeo". "Tiki", his first series in tandem with artist Ivo Milazzo, in 1976, followed in 1977 by “Ken Parker”, his most successful character, exported to thirteen countries worldwide. The same year he created "Welcome to Springville", which was drawn by the designer Renzo Calegari. Next was "The Man of the Philippines" and “Marvin Detective”. In 1986 he dramatized episodes of "Sherlock Holmes", illustrated by Giorgio Trevisan. Then he wrote "Oklahoma! ", for the Tex series, an episode of “Nick Raider” (#18: "Mosaic For a Crime") and the short stories collected in "Reverie" and "Lights and Shadows." 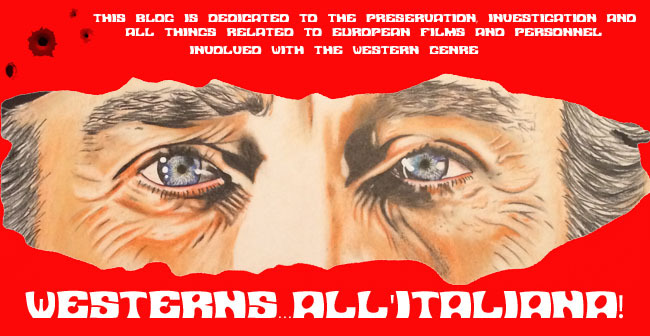 After giving a start to "Tom's Bar" and "Giuli Bai & Co.", in 1989, he was among the founders of the “Parker Publisher” that in addition to reprinting the old episodes of the character, it produces new ones for the "Ken Parker Magazine". The same formula is continued by Sergio Bonelli Editore until 1996; after which the series goes back to the format "Bonelli", semi-annually, and it closes in January 1998. In October of that year, Berardi is the author and editor of Julia, a new monthly magazine Sergio Bonelli Editore. Among the many honors assigned to him, were the Oesterheld Award, the Award Internacional de Barcelona Comics, the 'Haxtur' award and the Yellow Kid. 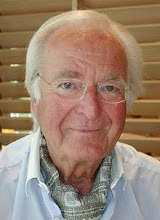 Renzo Calegari was born in Bolzaneto, Genoa, Italy on September 5, 1933. He starts working in the comic book world with Studio D’Ami and, in 1955, draws "I tre Bill" (written by Gianluigi Bonelli) and "El Kid", together with Gino D’Antonio. 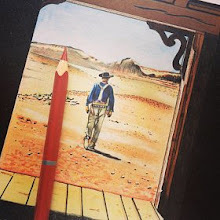 He later creates "Big Davy" for Edizioni Araldo, but he becomes officially recognized as master of the western genre with "Storia del West", where he starts working, always with D’Antonio, in 1964. 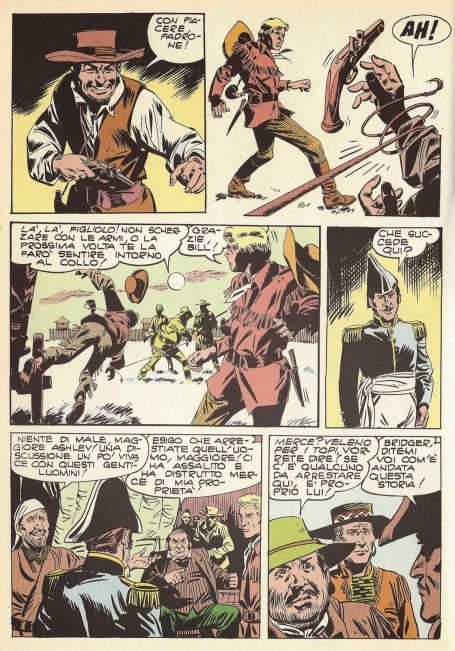 After a brief period of comic book inactivity, due to his focusing on politics, Calegari returns to his beloved West with "Welcome to Springville", a miniseries written by Giancarlo Berardi for "Skorpio", later reprinted in three volumes by L’Isola Trovata (and, more recently, in a volume published by Le Mani). 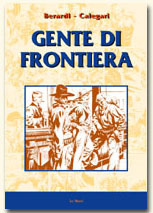 He did other works for the "Orient Express" magazine and with "Il Giornalino", for which Calegari creates the series "Boone" and "Gente di frontiera". For Tex, Calegari debuted with "La ballata di Zeke Colter" (penned by Nizzi), printed on Almanacco del West 1994. 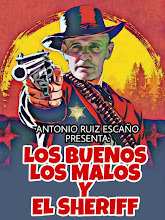 His art appears in "Bandidos! ", a one-shot published in the summer of 2007 and scripted by Gino D'Antonio.